Soak urad dal in water for 1 hour. Grind in a mixer to smooth paste. 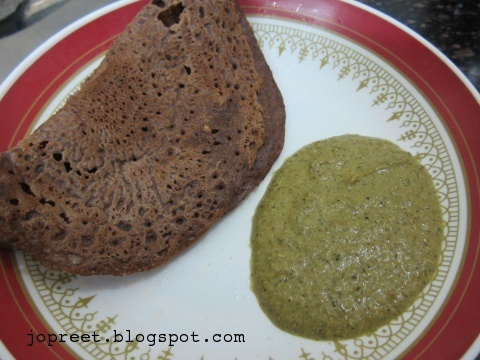 Add ragi and rice flour to urad paste. Mix all and add salt. 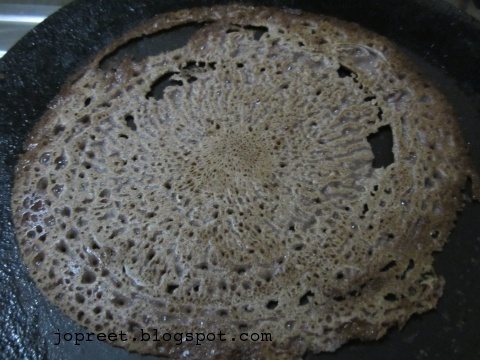 Add water and make dosa like batter. Keep it aside for 30 mins. Heat a tava and grease it with oil.Take a ladle full of batter and pour on the tava. Allow to spread it over. Apply oil all over the sides. Turn on the other side once it is cooked. 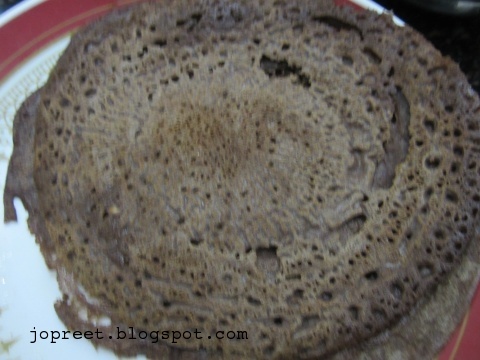 Once done with cooking, remove from the tava and keep aside. Repeat the same procedure for the remaining batter. Serve hot with any chutney.